This is the second part of a blog series on REST APIs and the REST Assured Java library. Did you want to go back to the beginning? Let's say you are an automation developer on a team developing in Java a new public transportation web application. The customer base for the app is located in Southeastern Massachusetts in the United States. The MBTA system in Massachusetts controls buses, subways and commuter rail in Boston and its suburbs. 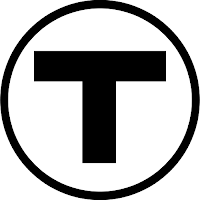 The subway system is collectively known as "The T", as in "Taking the T into Boston" or "The T is running slow... again!" and is divided into the Red, Green, and Orange Line, with a bus route called the Silver Line. How can you prove that the #230 bus line, running from the Montello Commuter Rail in Brockton, MA to Braintree MBTA station all the way to Quincy Center Station is still listed in the system? Are you sure this bus line is still listed in the system? If not, it's a bug. Going to http://realtime.mbta.com/developer/api/v2/routes?api_key=wX9NwuHnZU2ToO7GmGR9uw&format=json to view all routes, and eyeball that "route_id : 230" is still there. The MBTA API team graciously provides a public access key, wX9NwuHnZU2ToO7GmGR9uw, that we can use to play around with their system. This Public API key can change at any time. If the key no longer works, check out the MBTA Developer Portal Download section to find out the new key. Of course, if you are creating a web or mobile app for real, Register for a free API key. But how could we turn this into an automated test? Last year, we talked about how to interact with RESTful APIs with Apache Http Components, or with Postman. With this blog post we are going to use REST Assured, referred to me by automation development consultants Alan Richardson and Baz Dijkstra. @tjmaher1 @TourDeDave I start with RestAssured and I use HttpClient. I'm going to investigate Unirest soon. "REST Assured is developed and maintained by Johan Haleby with the help of numerous other contributors over the years. Would you like to contribute to the project in any way? Submit a pull request or contact Johan at Twitter. "Johan started the project when he was working at Jayway back in December of 2010. The project is now sponsored by Parkster". Johan is currently a Senior Software Developer and Architect at Parkster AB in Sweden. REST Assured is up to version 3.0.3 released on January 20, 2016. Need help API Testing with REST Assured? "Bas Dijkstra has been generous enough to open source his REST Assured workshop. You can read more about this here and you can try out, and contribute to, the exercises available in his github repository". "Since REST Assured is a Java library, integrating it into a continuous integration / continuous delivery setup is a breeze, especially when combined with a Java testing framework such as JUnit or TestNG"
How Could We Interact With MBTA's API With REST Assured? Testing the application through the API -- and not the web user interface -- means that we can test the system quickly and easily without having to wait for a browser. If we so choose, we can have the data returned to us in a JSON-style format, as opposed to XML. We should receive the data back to us in less than two seconds. Finally, we can test that, yes, the 230 bus line is listed in the system. ... And all these tests can be run in less than three seconds! Java as the main programming language. The Java Hamcrest library to use the assertThat keyword. I just think it is more readable. You could use regular assertTrue or assertEqual if you really wanted to. The Java Utility called TimeUnit to keep track of milliseconds the test runs (see JavaWorld's The Highly Useful Java TimeUnit Enum). REST Assured to handle interacting with sending and receiving information from the RESTful endpoint. Feel free to steal and modify this code! I did! When I was playing around with the code in Bas' REST Assured Workshop, I had quite a difficult time trying to modify it to fit the MBTA's API. Thank you so much for the help, Baz! The following tests will kick the tires of the API itself, to see if everything is in good working order. * Need to connect to the MBTA API manually? Next, we can check that, yes, the 230 Bus Route is still listed. It took less than three seconds for all the tests to run. Yes, Bus #230 is listed! Once again, thank you very much, Bas, for your help with this! Are you sure the bus line is still listed? Part One: Don't gather data from the UI. Use a RESTful API endpoint instead! What is the Difference Between TDD and BDD?